The First Chakra is located at the base of the spine, and includes the lower back, legs and feet. Its color vibration is black or red. 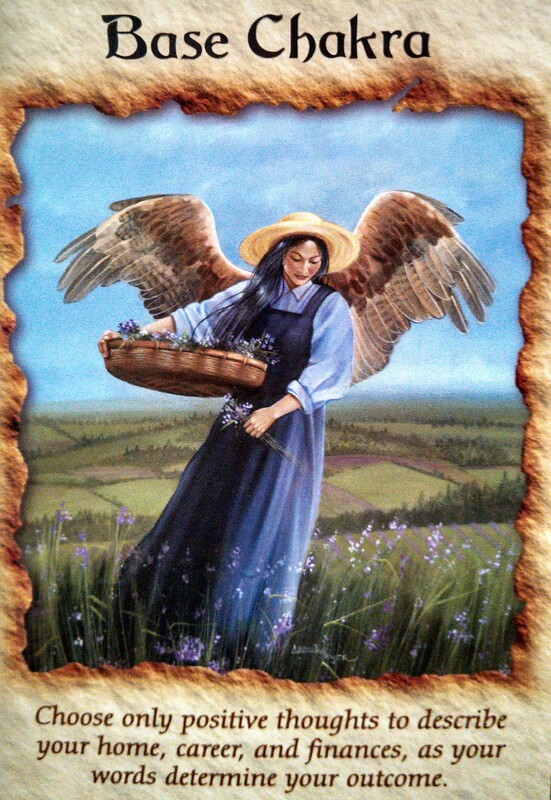 The Mother Earth energy from the center of the planet is absorbed through the feet, which is a grounding energy. It allows us to feel Safe and Protected on the Planet, and Balances our basic materialistic needs connected to Survival. 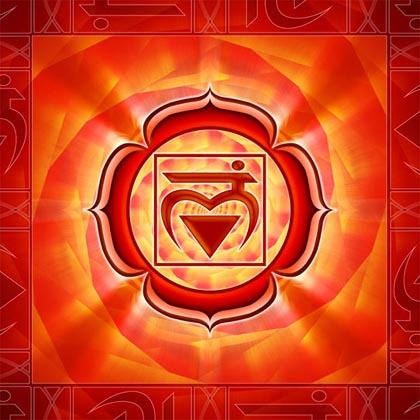 The Base Chakra is the Home of the Kundalini (snake or coil) Energy. As this Energy is Awakened through increased Awareness, it rises up the spinal cord through the Chakras till it reaches the top of the head. At this point, it is said one will experience a Powerful Enlightenment. blood stone, tiger eye, garnet, ruby, onyx. 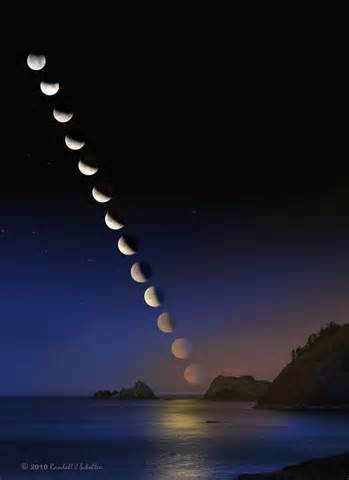 I am connected to Mother Earth and feel the security of being grounded in the moment. I deserve the best life has to offer, all my needs are being met. My body is important to me and I nurture it constantly. 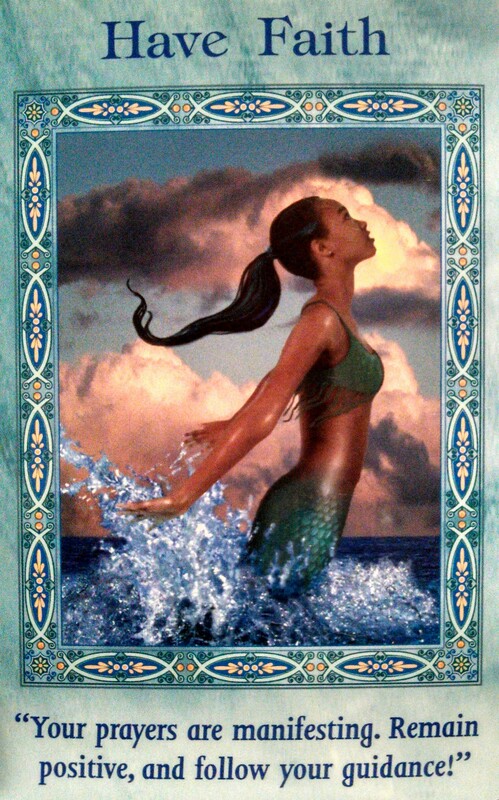 This card indicates that you’re focused on your material needs, such as desiring more money. It’s imperative that you use only positive words and phrases to describe your current situation. 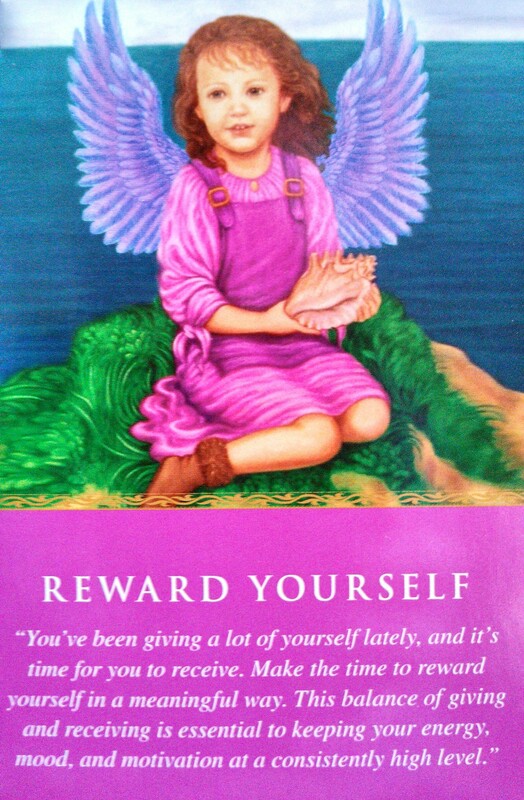 Affirm your desires as already being a reality, and avoid worry- or any discussion that casts you in a “victim” role. 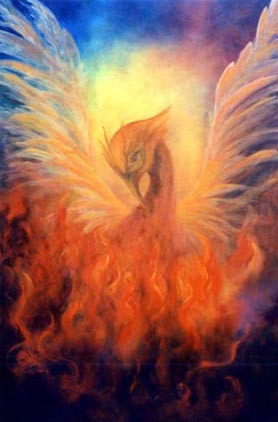 To open your flow of Divine manifestations, imagine yourself inhaling and sending healing light to the base of your spine. See and feel a huge ball of ruby red light glowing within you. Since every worry is a prayer,drawing to you that which you’re worrying about, notice and replace worries with prayers and affirmations. 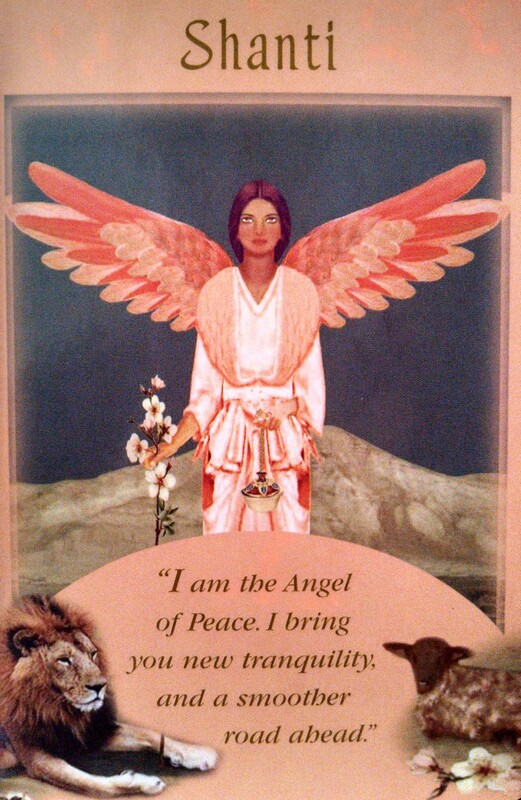 Call upon the angels to boost your faith and confidence,which are two magical ingredients in conscious manifestation. Sit in a quiet location, and bring your mind and body to a calm state. Breathe in and out deeply while imagining your desired outcome as already being a reality. For instance, picture yourself being completely financially secure. As you hold this vision, allow your body to relax, and feel as though the vision were already true. Feel the warmth of gratitude in your heart,the sense of security in your stomach,and the relaxation of all of your muscles as you trust that this vision is manifesting for you right now. We as a Collective Consciousness have gone through many Lives and Lessons to be where it is that we are today; mentally,emotionally,physically,spritually ~ Embrace, Honour,Respect and Cherish this Place in Space and Time! 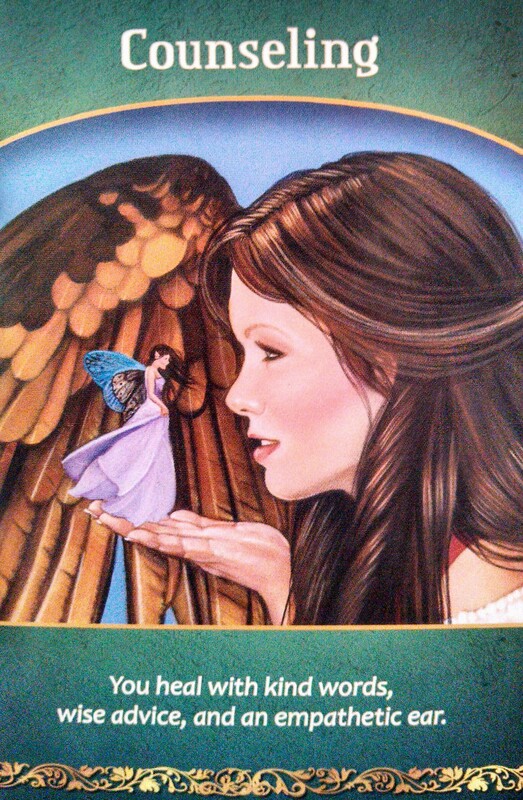 (4/23) Card of the Day was Counseling from the Life Purpose Oracle Card Deck (4/24) I was drawn to the Magical Messages from the Fairies Oracle Cards and pulled a “Life Purpose Card” with references to yesterdays Card of the Day! Interesting if these resonate with you and your paying attention and listening to what Spirit is saying through the Cards and/or Signs! <> Namaste! Embrace & Acknowledge who it is that you are at the Center of your Being. Your a Natural in doing whatever you put your Mind and Heart into. Utilize your abilities, talents and gifts and allow them to take you to places that you never thought were possible! Doors will Open and you will attract like Minds and Souls ~ Be thankful. “You drew this card because you worry about social acceptance. 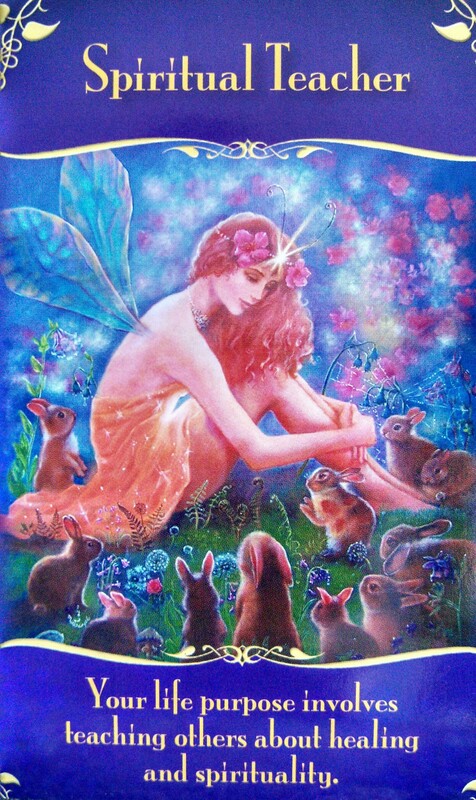 The Fairies want to celebrate your uniqueness, since to them you’re delightful and perfect just as you are right now. 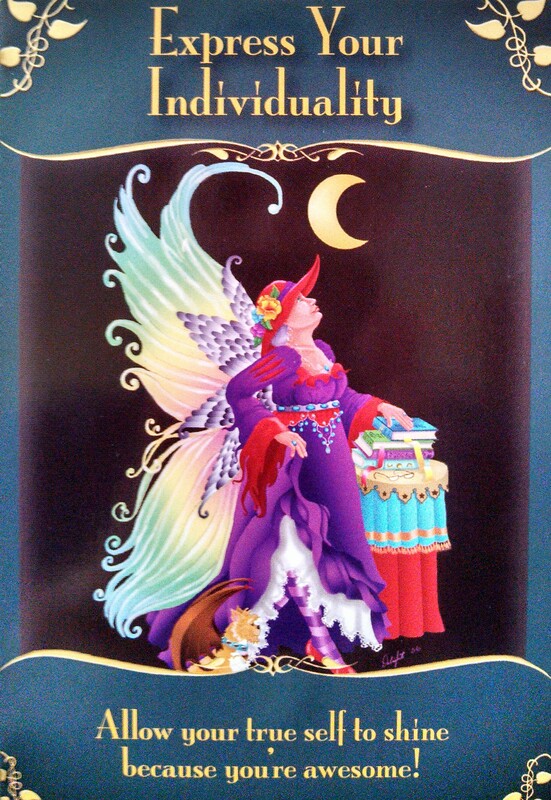 The Fairies love your creativity, and they urge you to just be yourself. Don’t squelch your true self in order to gain others’ approval. Pretending doesn’t work anyway, and you can’t please everyone. Instead, enjoy being authentic and trust that like-minded people will be attracted to you. *Express your creativity through an artistic project or new business idea.